The long awaiting single is finally out!!! 'Oluwa bless my hustle'. It is by (PS boy feat Akeem de beat ) also produce by Akeem de beat. I am call DE P.S. O. Osemwegie I am from Oredo Local Govt area of Edo State in Benin City, I graduate from the Benue State University where I read marketing. 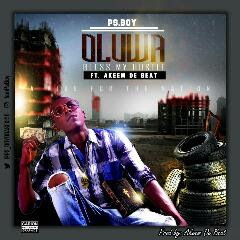 OLUWA bless my hustle is an exceptional way of expressing prayers to God in other to have our hustle blessed. We indeed need Gods blessings on our hustle to make it meaningful. OLUWA BLESS MY HUSTLE. Dr.Sam O.